Scientists have unearthed evidence of a 500-year-old settlement near Lake Ontario so cosmopolitan it has been branded the 'ancient New York City of Canada'. The recently-discovered 'Mantle site' is thought to have had almost 2,000 inhabitants in a 'cosmopolitan' area in 1500 A.D. which was the size of Manhattan. Archaeologists say pottery and art found at the site shows how inhabitants had 'unprecedented' trade with the Iroquois - the nations and tribes of indigenous North America. But amazingly, the same groups also acquired European goods a full century before the first European explorers arrived in that region. 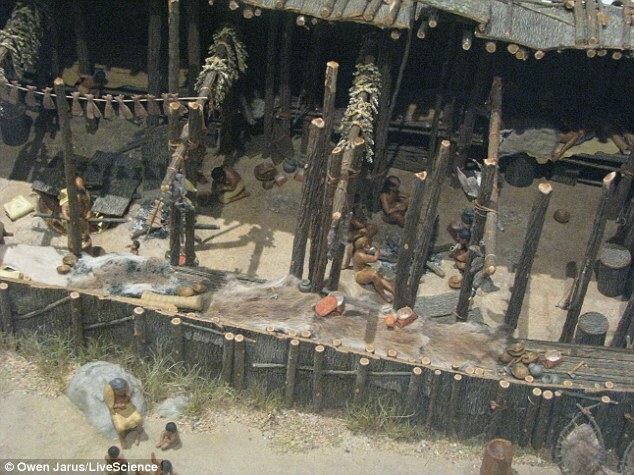 Despite its huge size, the giant site is thought to have remained undiscovered for so long because its longhouses were primarily made of wood. Among the stunning finds made on the Mantle site are the earliest European goods ever found in the Great Lakes region of North America. 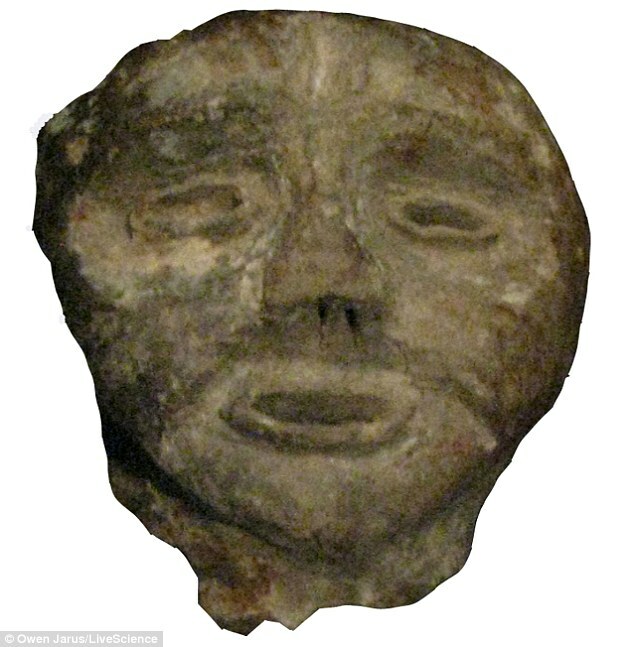 Experts recently found copper beads, wrought iron objects, as well as effigies painted into pottery. The discoveries - part of the 'largest, most complex, cosmopolitan village of its time - have been heralded by experts as an 'Indiana Jones moment' in archaeology. 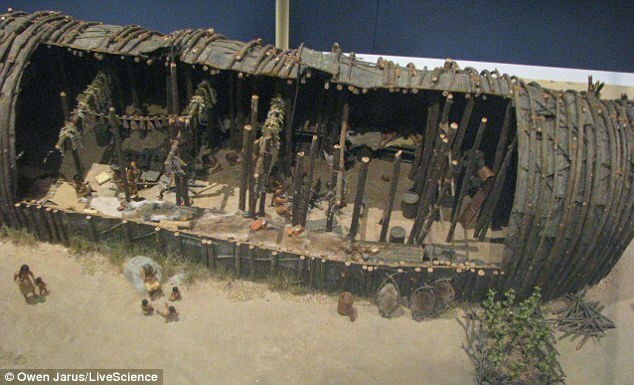 Also uncovered during excavations on the site between 2003 and 2005 were 98 longhouses, a palisade fence of three rows, and about 200,000 artifacts. A wrought iron mask found at the site was traced to northern Spain, with its material suggesting it came from the 16th century. The hoard of artifacts will be revealed in a documentary this week on the History Channel in Canada. Ron Williamson, an archaeologist who led dig efforts at the site, said in the programme: 'This is an Indiana Jones moment, this is huge. Williamson, the founder of Archaeological Services Inc., a Canadian cultural resource management firm that excavated the site, told LiveScience: 'It's the largest, most complex, cosmopolitan village of its time. Jennifer Birch, a post-doctoral researcher at the University of Georgia, said in the documentary: 'When you think about a site like Mantle, 2,000 people, massive stockade around a community, a better analogy is that of a medieval town.